This day we had to leave from our hotel to another one. We woke up in the morning, and used some of the provisions we’d gotten the previous night for our breakfast – coffee, bread+butter and some biscuits. 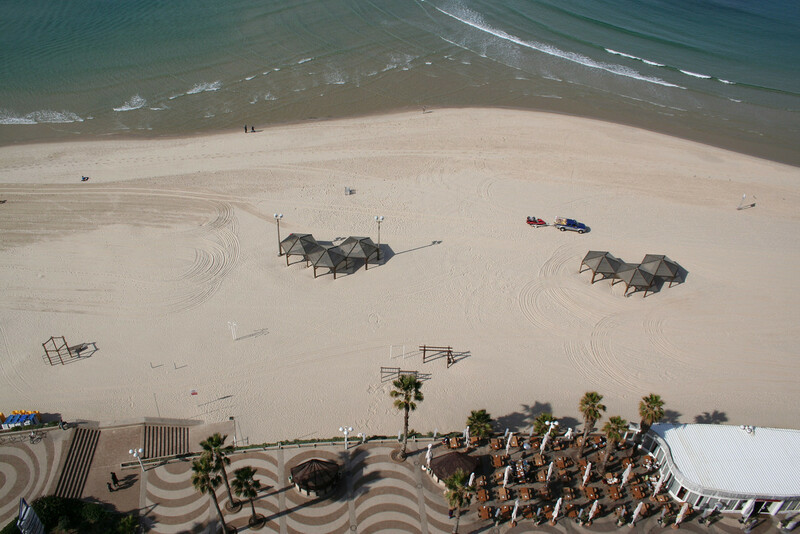 so we moved our stuff to the new hotel, the Sheraton Tel Aviv. The Sheraton was pricy and the rooms had a slightly older look. Be that as it may, the views simply made up for it all! 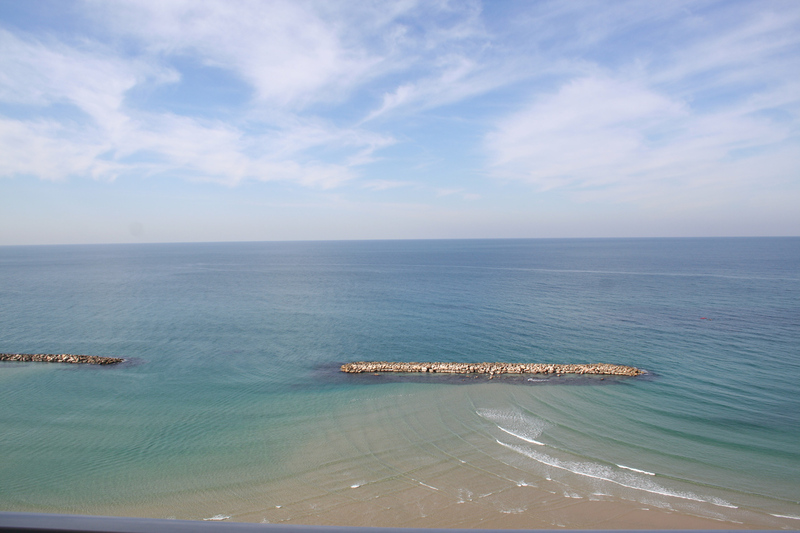 After settling in to the hotel, we decided to walk around Tel Aviv. We started walking along Frishman Street. 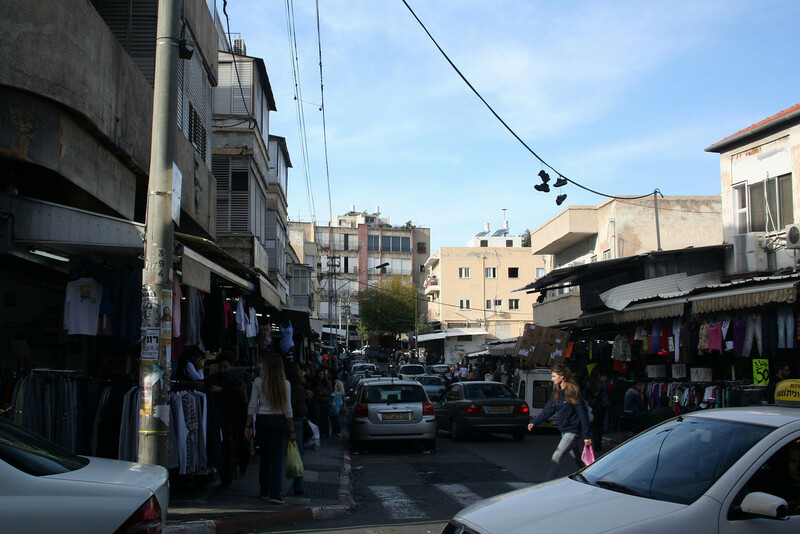 It was a crisp day and we imagined how life in Tel Aviv must be – living in this politically complicated place, yet surrounded by so much history. We arrived at Dizengoff St. 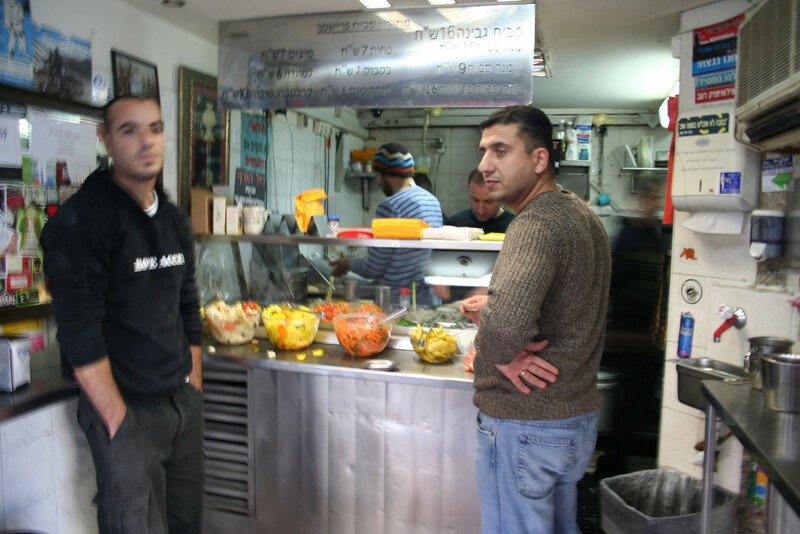 Right at the corner was a felafel stand and, with quite a few people milling around and eating there. It was almost 1 PM and a perfect time for lunch. 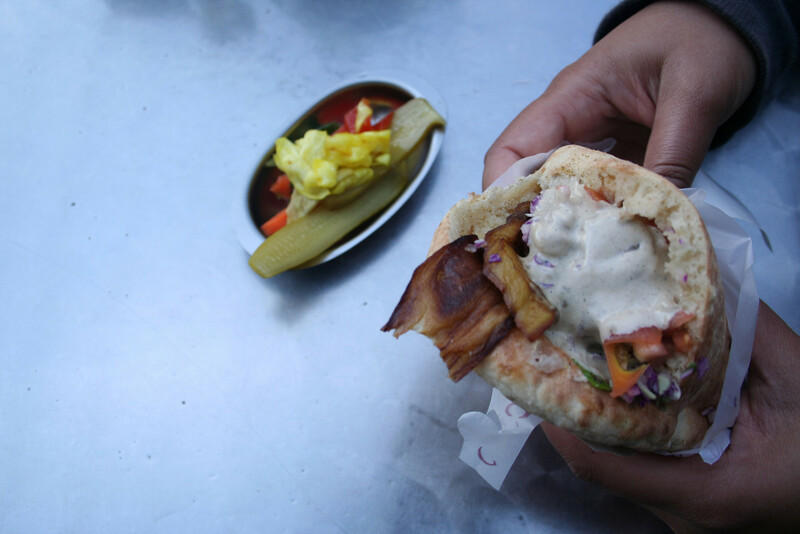 At this place, we discovered the venerable Sabich! We got 2 – 1 with egg and the other with fries and eggplant instead of the egg! It was simply delicious and to this day remains one of our favorite snacks. After lunch, we turned around the corner and were on Dizengoff St. We stopped by the Bauhaus Center to see if there was any way we could join one of their walking tours. Alas, none of the times seemed to match our plans. 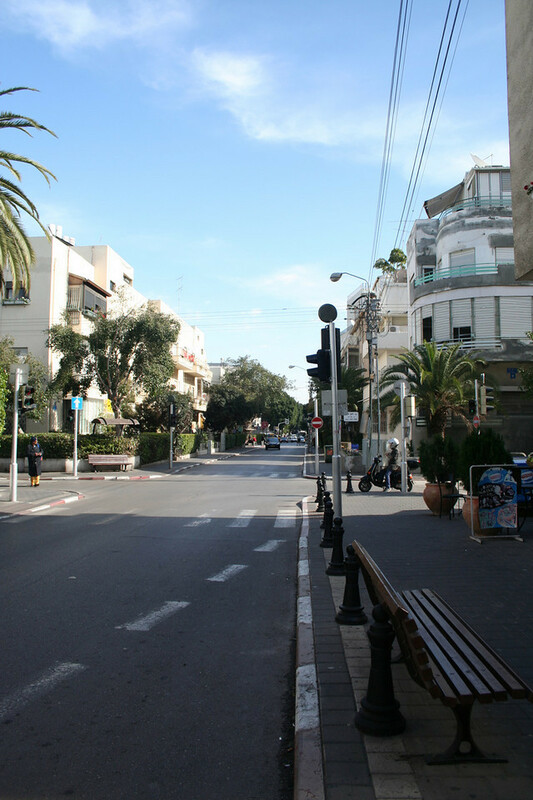 We walked along Dizengoff St. until we reached Dizengoff Center. 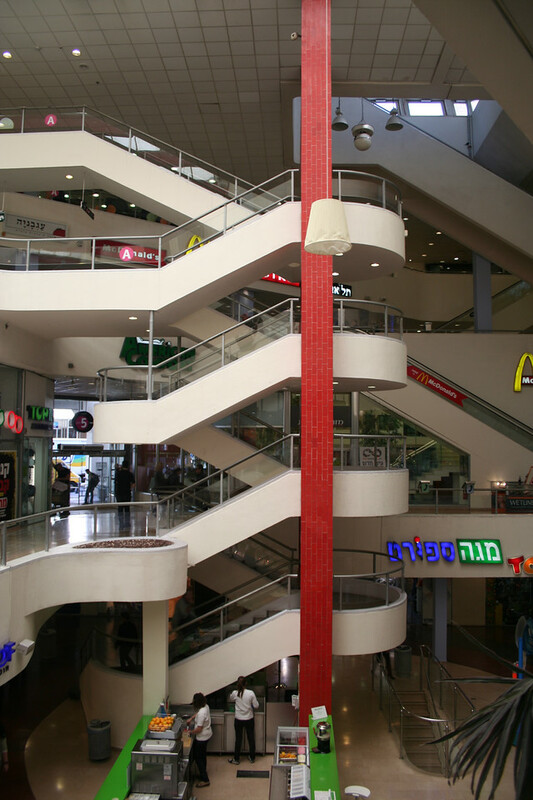 We went inside to just take a look, since the mall was Israel’s first mall and probably with the highest foot traffic. It looked slightly old, like it must have been awesome back in its day but needs a little bit of a modern touch. Nevertheless, its a landmark. 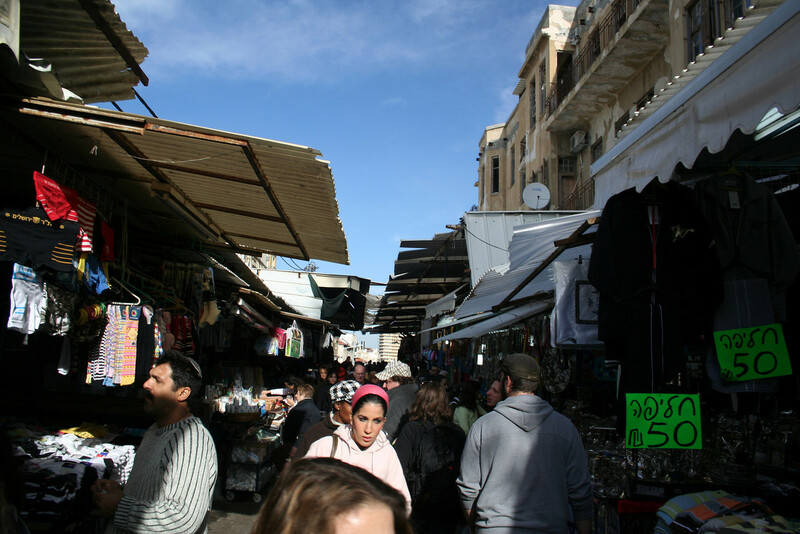 From Dizengoff Center, we took a right onto King George street and walked in the direction of Carmel market. The roads reminded us of India – jam-packed and bustling with activity. Felt like Bombay, without the heat. 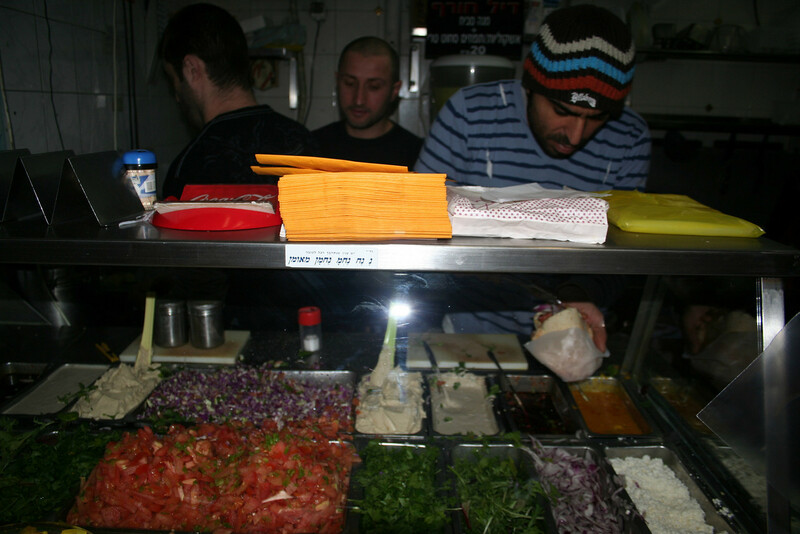 We walked a bit and eventually found our way to the bustling Shuk Ha’Carmel. That lemonade was even more delicious than it looked! 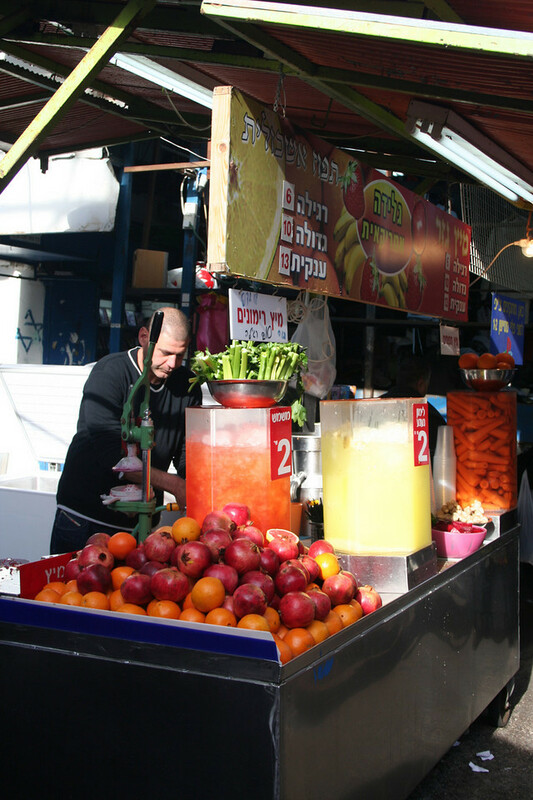 And then we saw this vegetable and fruit juice vendor and had to get some refreshing juice. While waiting for our juice, we talked in Hindi on how great it would be if he had some ginger to put in the juice, just like in India. 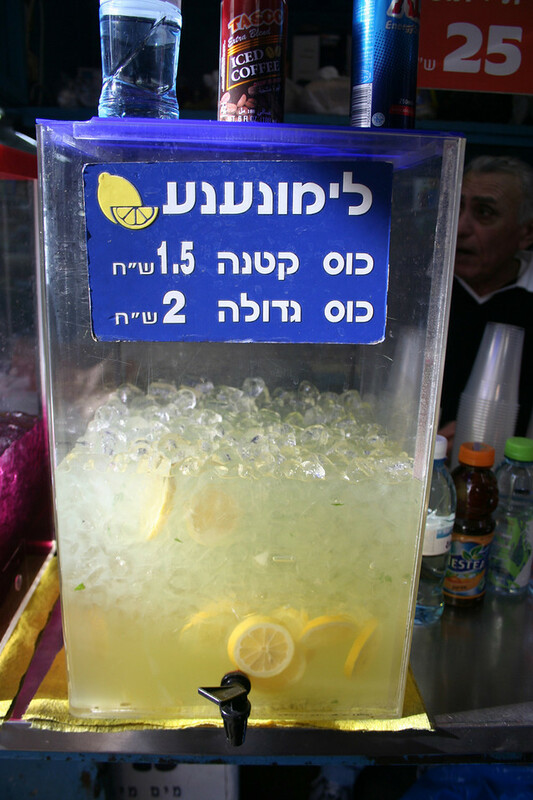 Another customer overheard us and piped in to our conversation, in Hindi, saying that its not that common in Israel to put ginger in juices like it is back in India. Whoa! He did not look all that much Indian; turns out he was Jewish and had made aliya to Israel almost 20 years ago, and was a part of Bombay’s dwindling Jewish population. He had moved to Israel mostly because of career opportunities with Europe and a lot of his family was already there. We chatted about how he liked Israel, yet missed Bombay – a sentiment we all share as immigrants and expats; the feeling of neither here nor there. Refreshed, we kept walking and our next stop was the “posh” Rothschild Blvd at the much talked about Max Bremmer Chocolate shop. Our aim was to get a hot-chocolate and a few different bits of milk and dark chocolate to sample and then have a proper dinner thereafter. The service was pushy. Meh. We walked around a bit more on random streets and getting a feel of the city until our feet told us they had enough, caught a bus back to the hotel. 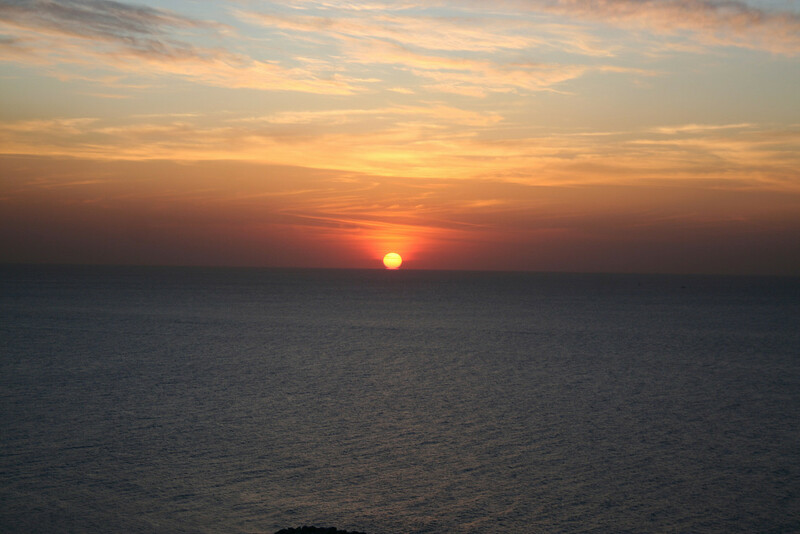 The juice and chocolate milk had filled us up enough that we nibbled on a bit of bread and cheese and simply enjoyed a lovely Mediterranean sunset – the perfect way to end the day!